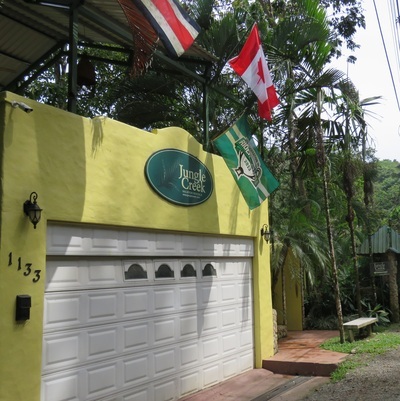 Nestled within primary rainforest with its own creek running down from the mountain side, Jungle Creek is aptly named. 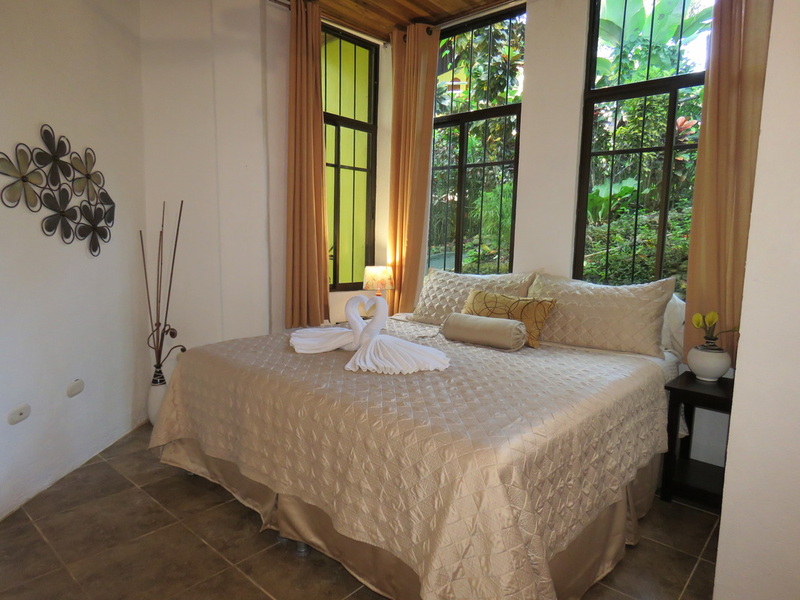 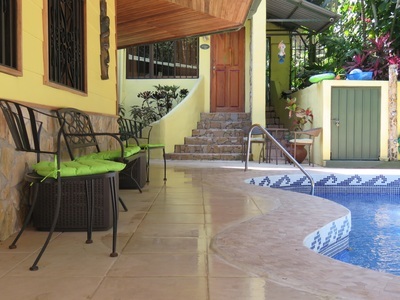 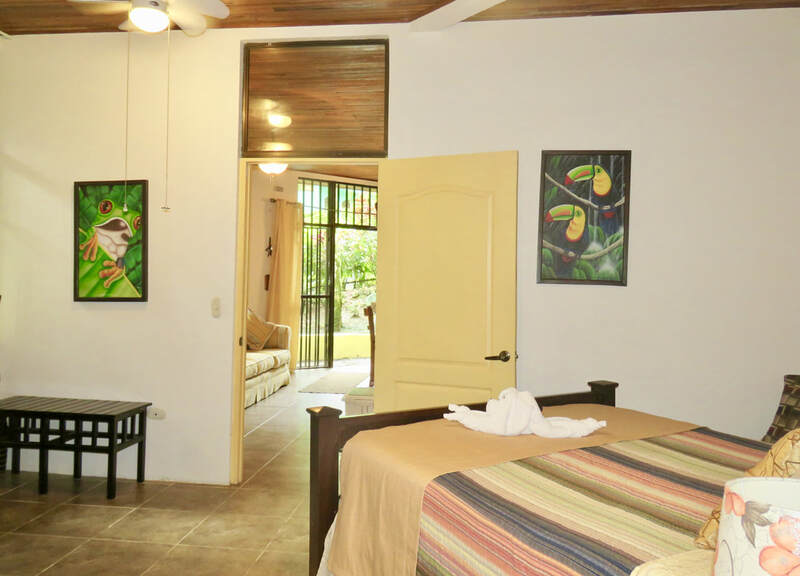 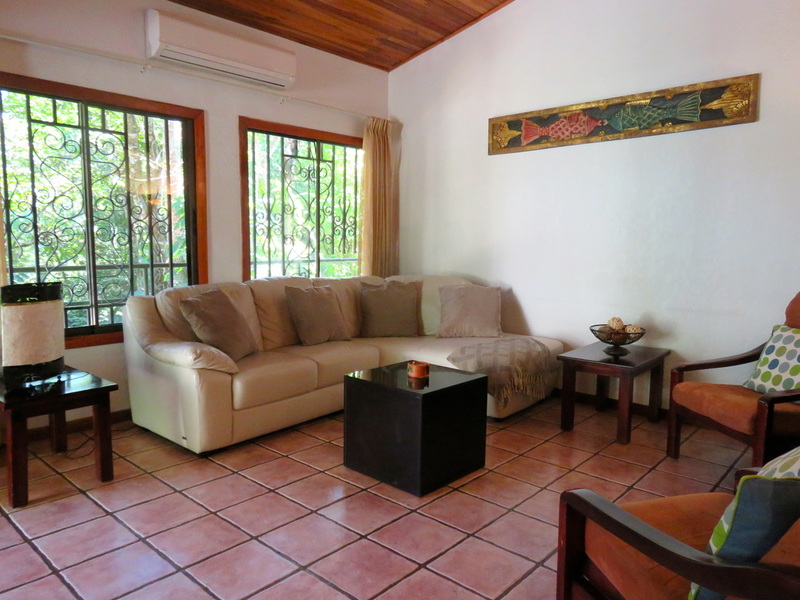 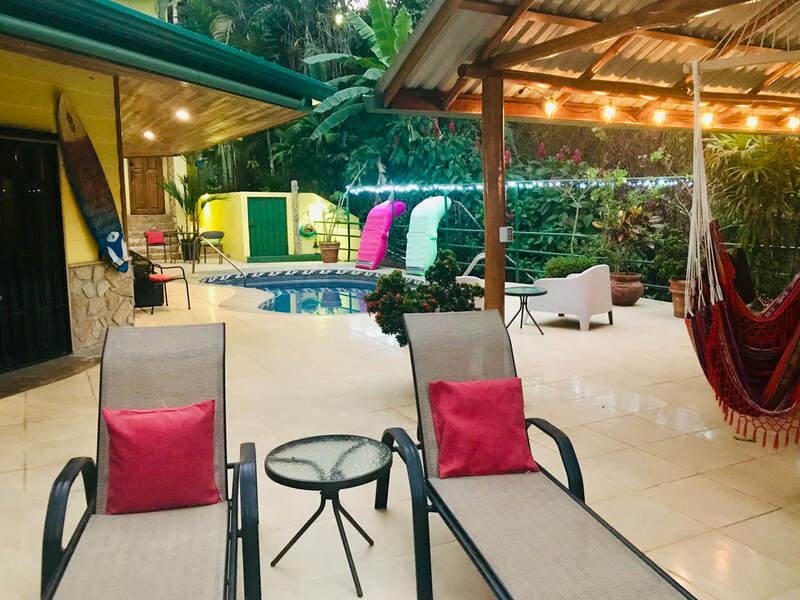 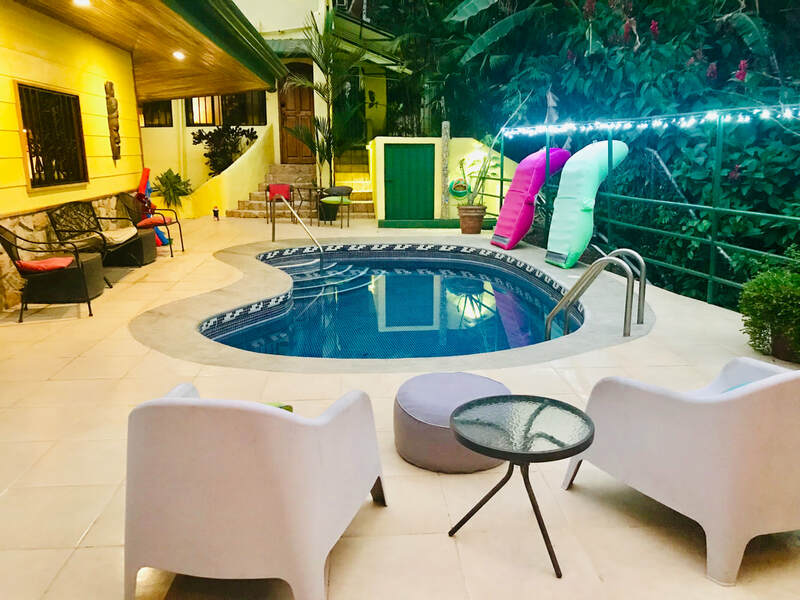 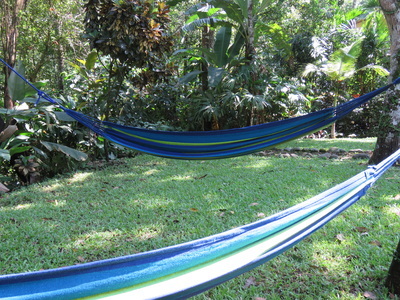 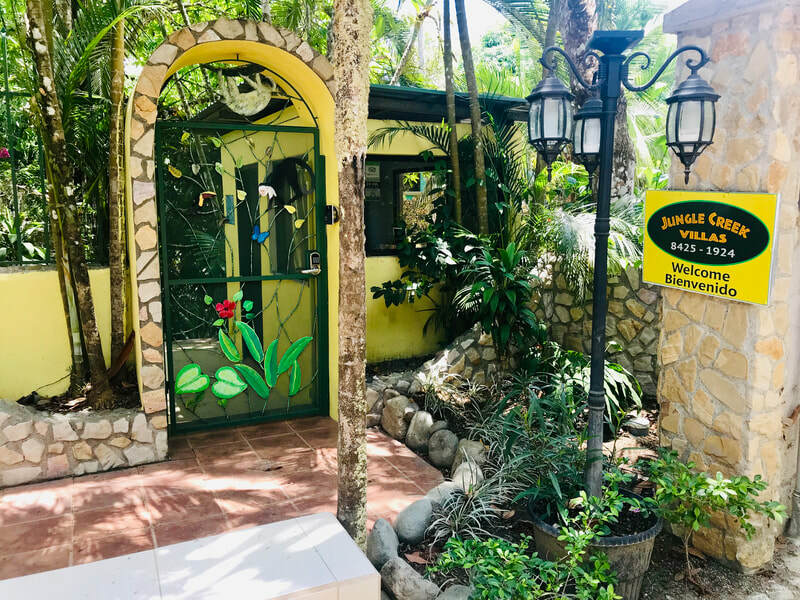 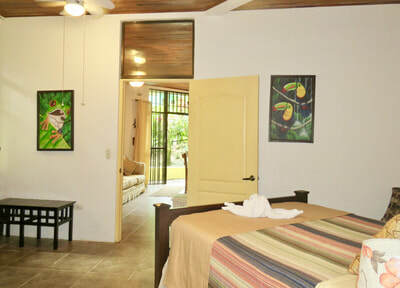 A home away from home, we provide a safe, private, convenient retreat that allows you to relax and immerse yourself in our unique jungle environment. 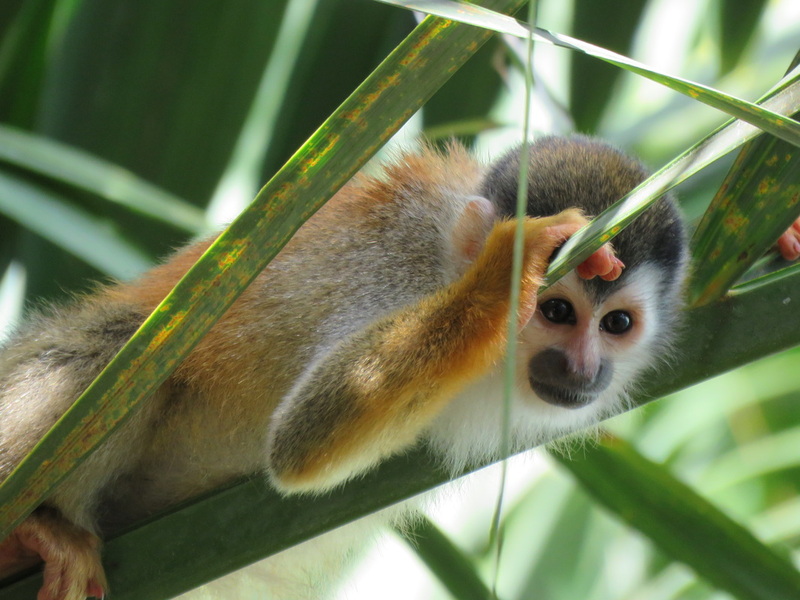 Be prepared to share your garden as our ecosystem is teeming with wildlife such as monkeys, sloths, iguanas, butterflies, toucans and many other species. 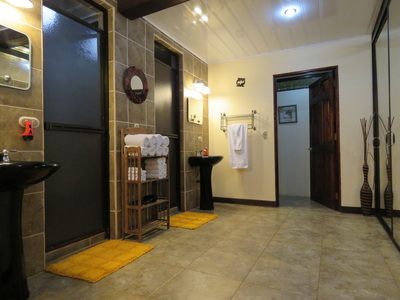 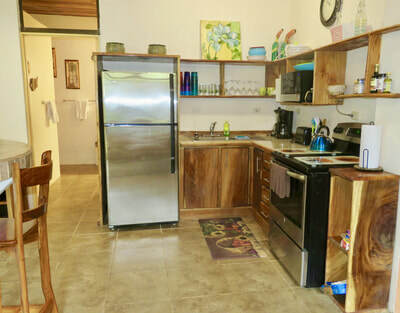 Jungle Creek offers comfortable and clean accommodation spread over four villas and is an ideal location for large groups of friends or family as our flexible layout allows guests to both socialize, but still enjoy privacy if desired. 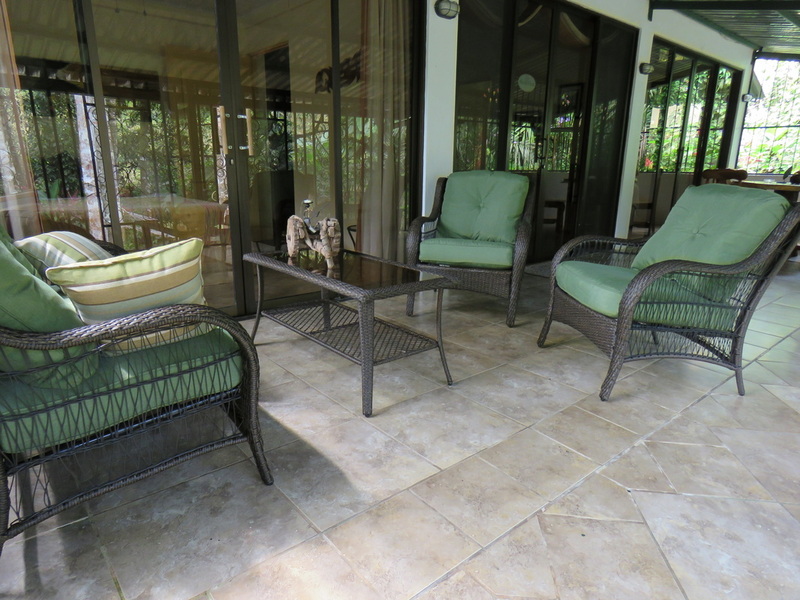 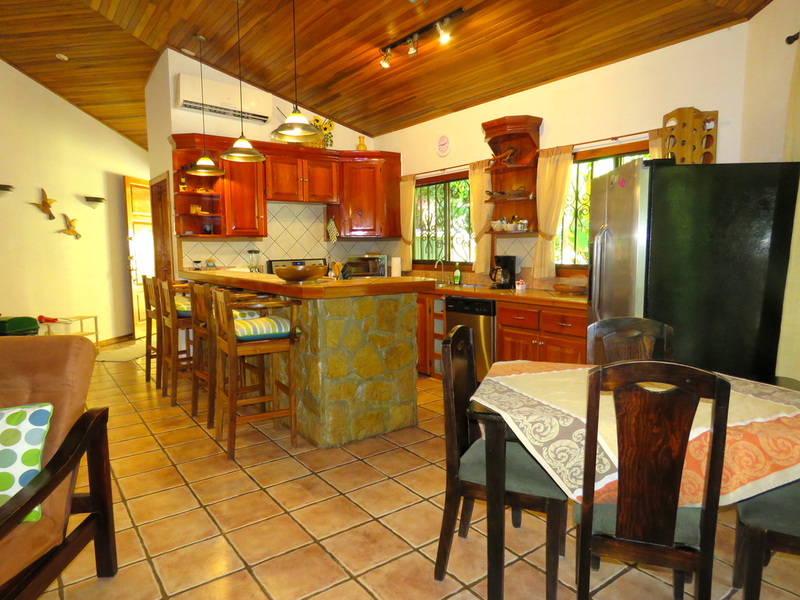 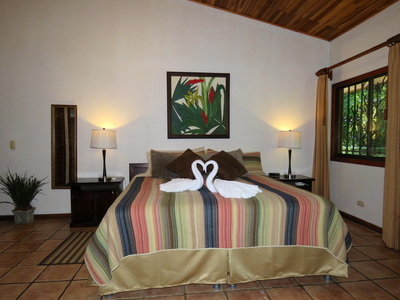 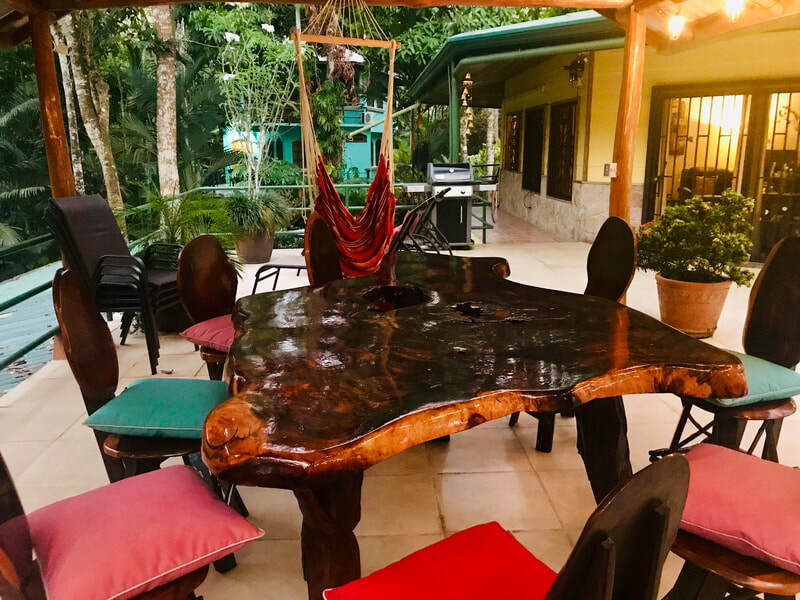 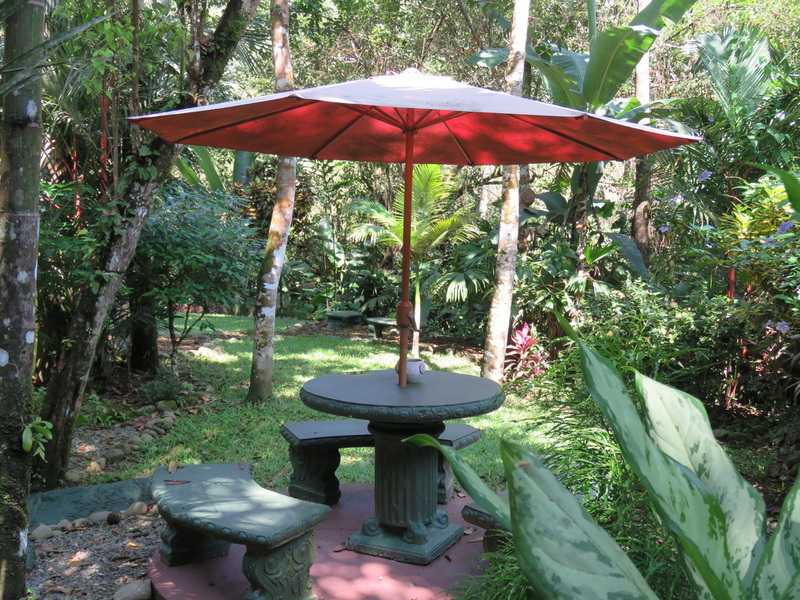 The property boasts two outdoor eating areas, pathways that lead to our garden area overlooking the creek, a large hammock area and a private pool with sun deck, gas grill and lounge chairs. 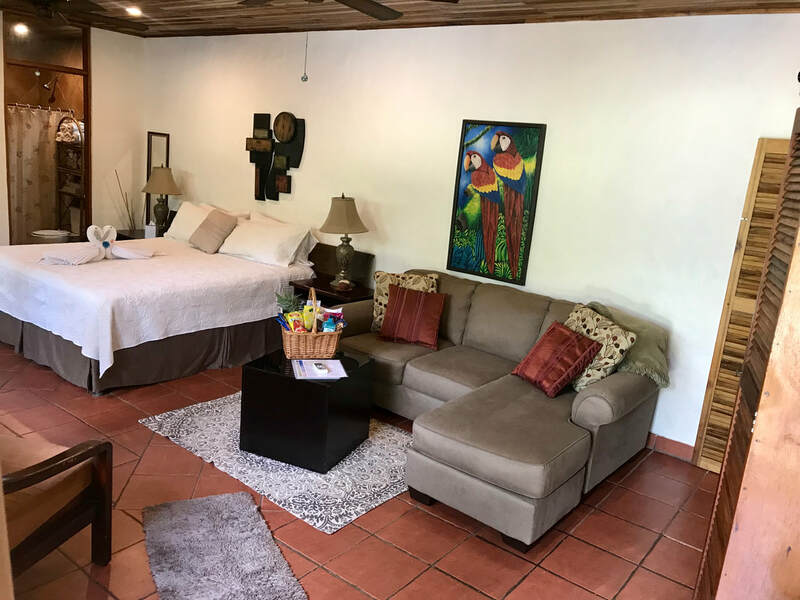 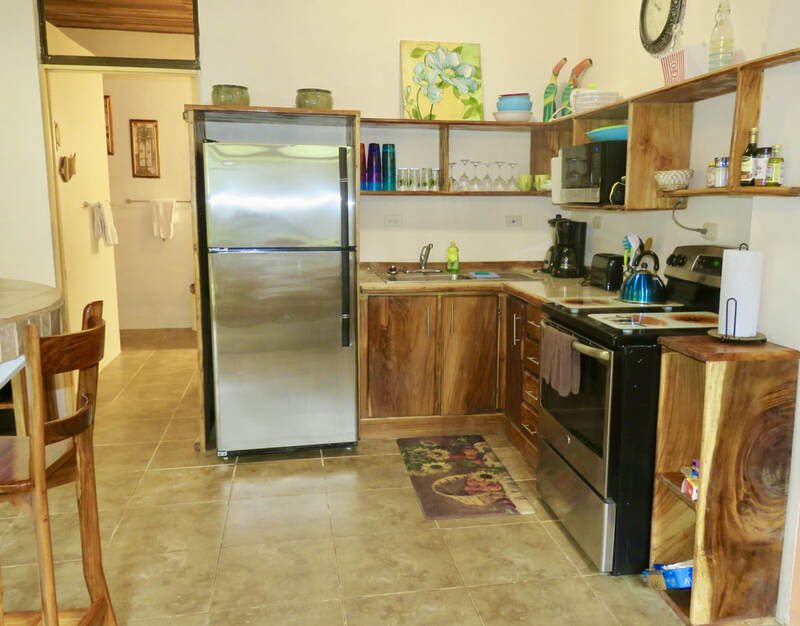 The homes have A/C, ceiling fans, Wifi internet, 5 Televisions with cable, 4 kitchens, 4 King size beds, 4 Queen beds, a double bed and a twin-sized Murphy bed. 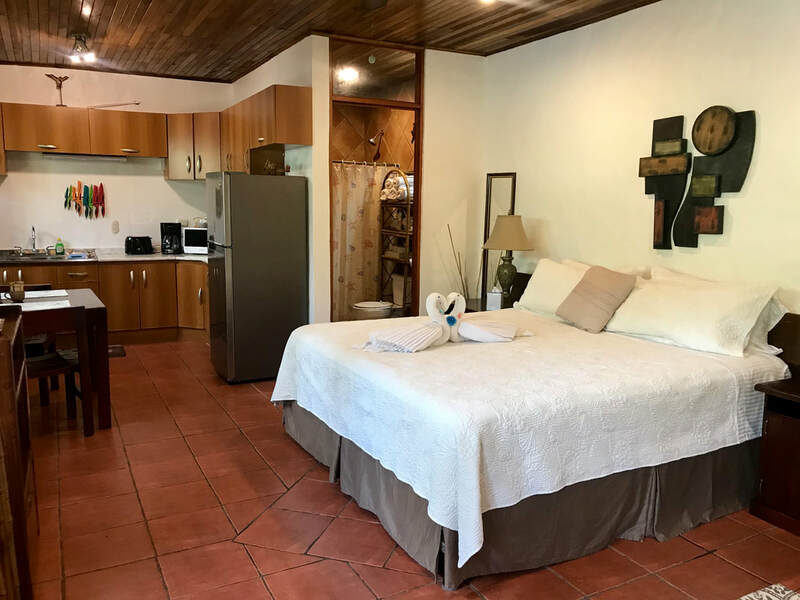 Extra beds can be added to accommodate a few more quests (21 max) We have on-site management that is available to answer questions, share local knowledge, arrange tours and transportation and ensure your vacation expectations are exceeded in every way. 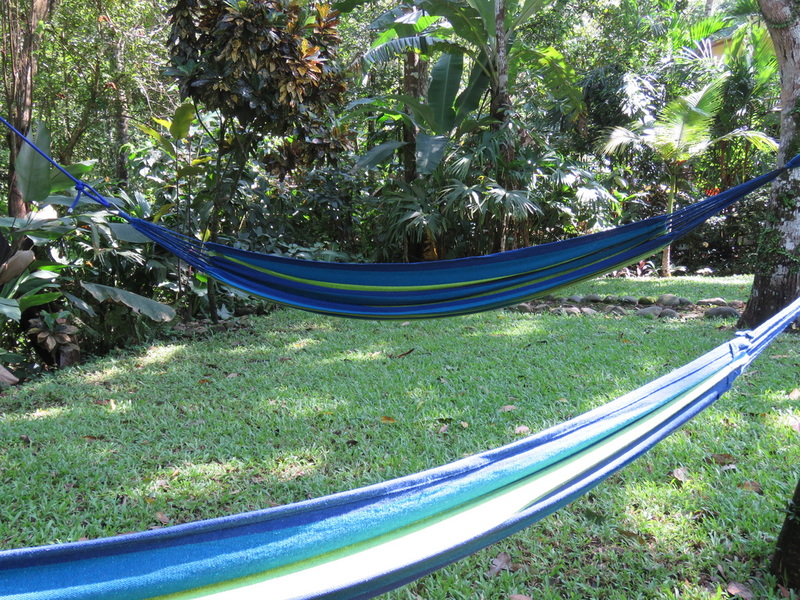 Your biggest decision will be choosing which lounge chair or hammock you are going to relax and soak up the tropical sun at Jungle Creek.